Investing our time and energy in people who save lives and property. 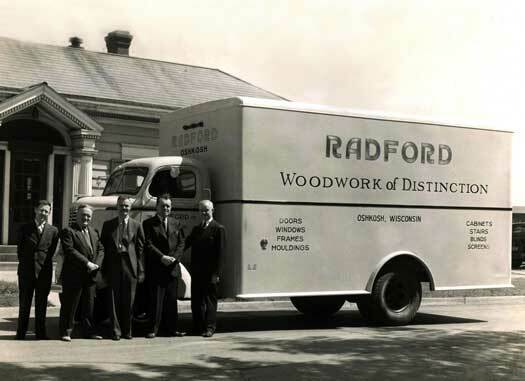 Over 100 years of change in our customers, products, and manufacturing. 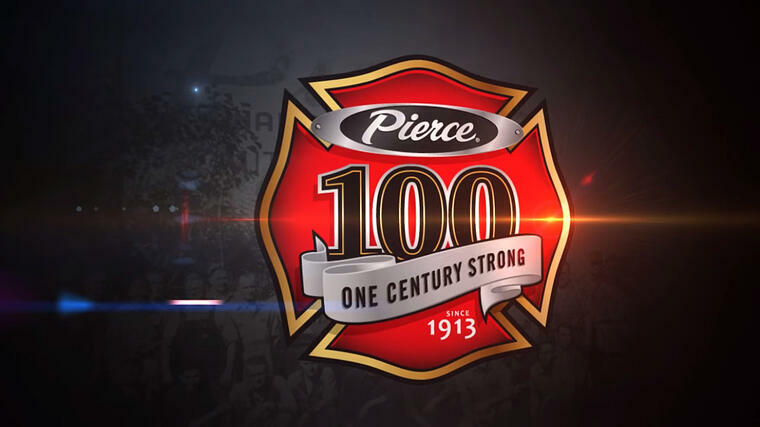 One thing’s stayed the same: The dedication, skill, and commitment of every Pierce employee and dealer. 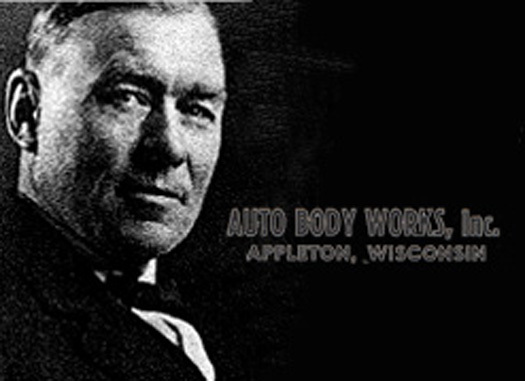 Pierce is founded as Auto Body Works by Humphrey & Dudley Pierce in Appleton, WI. 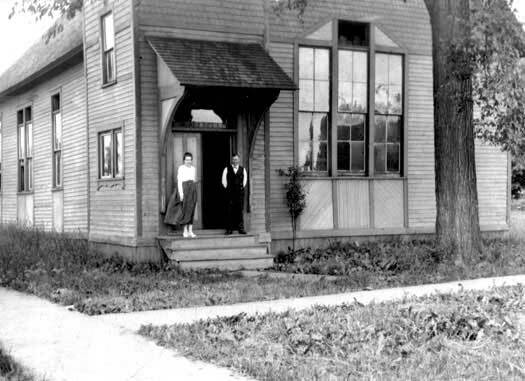 The first shop was converted from an old church located at Fremont and Jefferson Streets. that President Pierce married Jane Appleton. 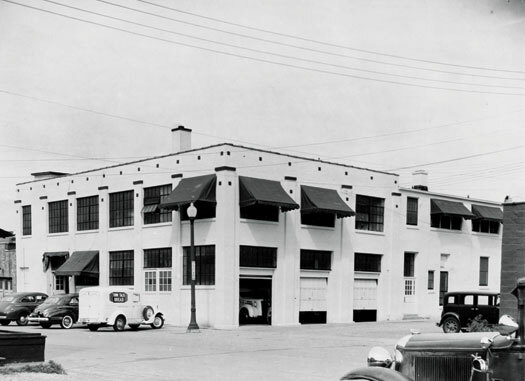 Humphrey and Dudley Pierce's company was incorporated under the name Auto Body Works, Inc. They began building truck bodies on Model T Ford chassis. Officers were elected shortly thereafter. Humphrey Pierce became the first president, and Dudley Pierce became secretary, treasurer and general manager. At the time, they each received $18 per week in wages, making it possible for more money to be invested back into the company. By the end of the year, the company had 11 employees. It was at this time that the company outgrew the converted church and built a new plant, known today as “City Plant” which faced Pierce Avenue near the Chicago Northwestern Railroad tracks. Dudley H. Pierce was elected President after his father Humphrey’s passing in 1919. Under Dudley’s leadership, a catalog was produced to document all the products built by Auto Body Works. Sales hit an all-time high of nearly $80,000. Eugene L. Pierce, Dudley’s son, joined the company as the third generation of the Pierce family. Eugene worked in the factory learning the business and was personally responsible for the truck body quality inspections. Company enters specialized utility body market in addition to the truck bodies they were building for Ford and Chevrolet. In 1939 this pumper was built on a Ford chassis with a Barton-American pump for Steve Otis and the Rural Fire Apparatus Company. Notice the rear chevron striping which would become a safety standard more than 60 years later. In 1946, the directors decided to increase the amount of building space. The new addition would be used for a stock room, paint booth with filters, a utility body section, a beverage body area, a mounting area for bodies installed on chassis, and the space for building one fire truck at a time. During this time, the company had 20 employees. 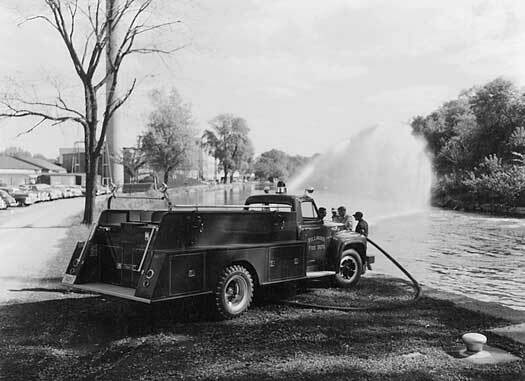 After World War II, Auto Body Works began producing its own line of fire apparatus on commercial chassis with Darley pumps. This hand-drawn truck illustration is dated June 29, 1946. Doug Ogilvie met Eugene Pierce while working as the head caddie at Butte des Mort Country Club, located off of Prospect Avenue near Pierce’s current 41 location. Doug was looking for a job and there happened to be two open positions but the company could only pay for one. So Doug took both jobs, doing sales during the day and design work at night. 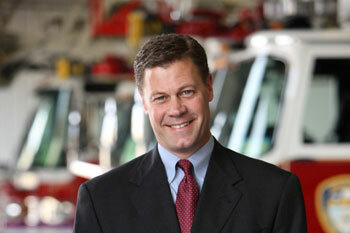 Doug would later become president of the company and leave a profound legacy at Pierce. 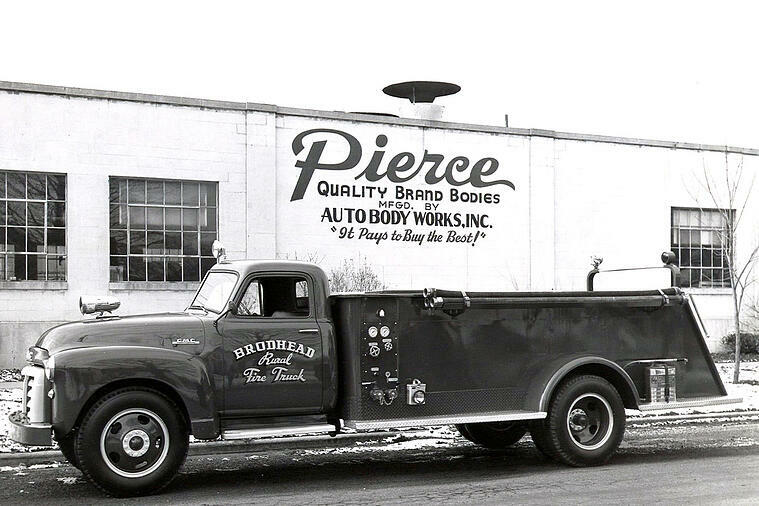 It was around this time that Auto Body Works began branding its products Pierce. 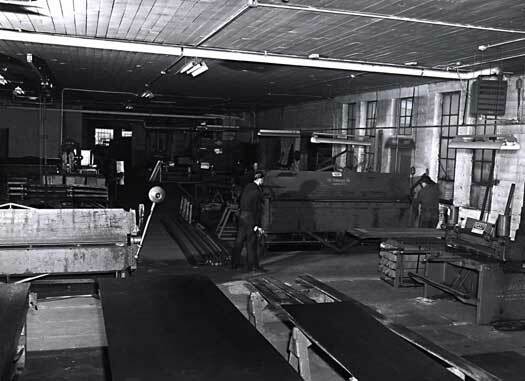 Between 1951 and 1954, business continued to grow as you can see with the fabrication area of the plant in 1952. 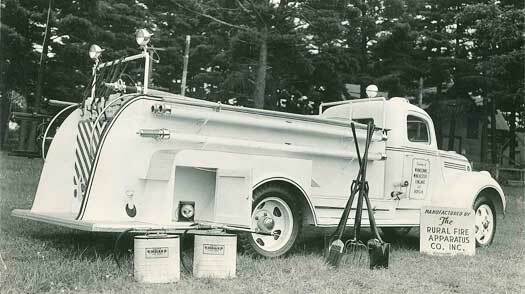 This photo shows a truck in action that was built on a Ford chassis in 1954 for Fillmore Fire Department in Illinois. 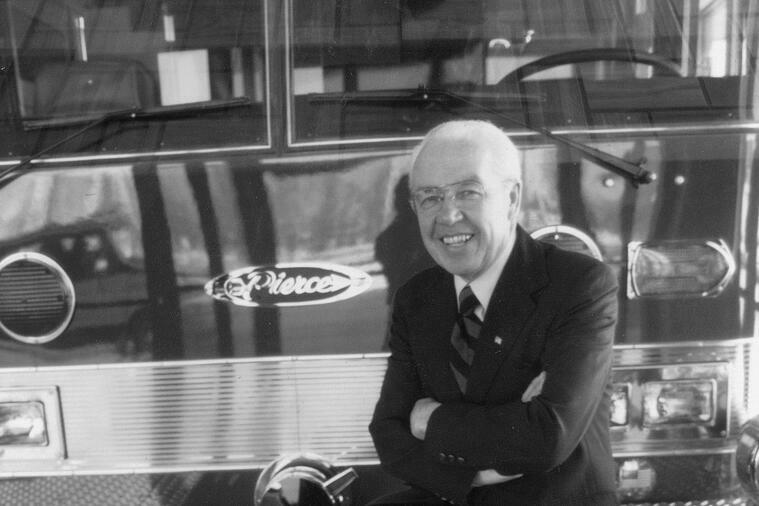 It was the same year that Dudley Pierce, president of the company passed away and his son Eugene, became the new president of Auto Body Works. This unit was delivered to Allison, Wisconsin, on a Ford chassis in 1957. Auto Body Works obtained the use of Darley mid-ship pumps the previous year, which allowed the company to extend sales outside its home region. 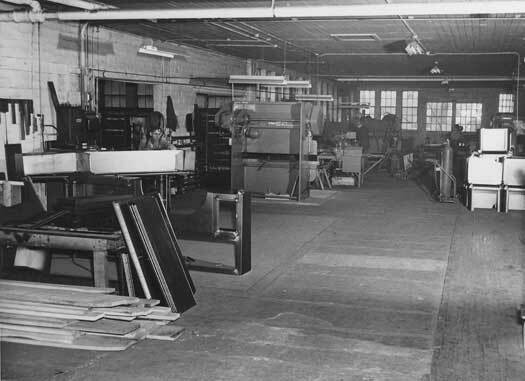 In 1958, the shop floor was equally split with fire apparatus, utility bodies, and beverage bodies. In the fall of 1958, Art Moore, a minority partner in Pitman Manufacturing, met with Doug Ogilvie and contracted with Auto Body Works to fabricate bodies for the Snorkel. The first body design was drawn on a cocktail napkin during a meeting between them. In 1959, the first Snorkel was built for Elwood, Indiana. This marked the beginning of the “Snorkel,” a unit with an articulating boom and platform that revolutionized the fire service. This is the front cover of a Snorkel product catalog. 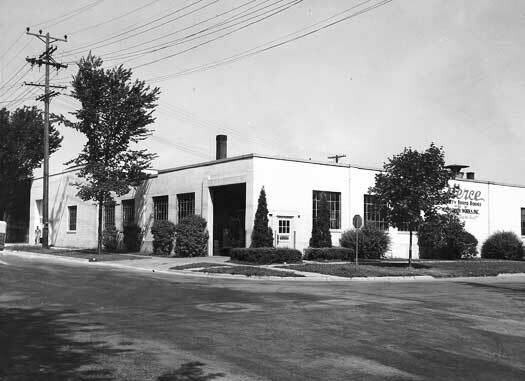 In 1960, Doug Ogilvie was elected president and the company name was officially changed to Pierce Auto Body Works, Inc. Sales topped $1 million in Ogilvie’s first year at the helm, in part due to the popularity of the Snorkel. 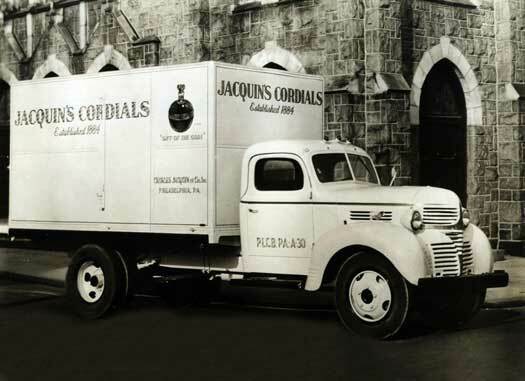 It was at this time that the decision was made to discontinue the van and beverage body lines and concentrate strictly on utility and fire business. In the early ’60s, utility sales made up 60% of the company’s business, but the fire division was growing steadily. 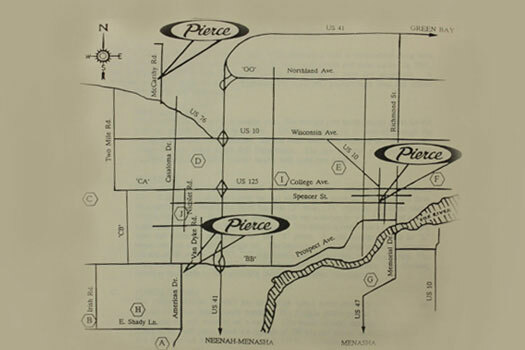 In 1969, the company’s name changes from Pierce Auto Body Works to Pierce Manufacturing, Inc. The company continued to experience growth and ran out of manufacturing space. The following year this logo was launched and it's still being used today. During 1970, construction began on the new 62,000 square foot facility located off of Highway 41 in Appleton, Wisconsin. The company planned on moving all fire apparatus assembly to the new building after completion. Construction took one year and the fire assembly division moved into the new building in 1971. 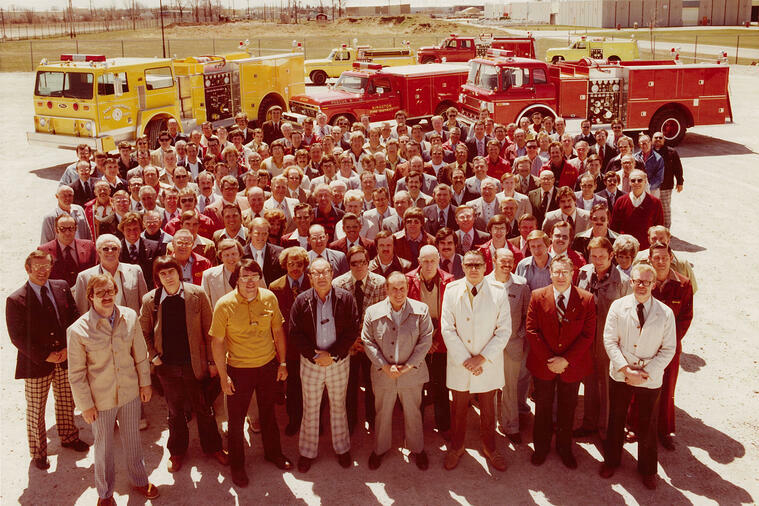 A group of Pierce employees and sales representatives stand outside of the 41 facility, circa 1971. 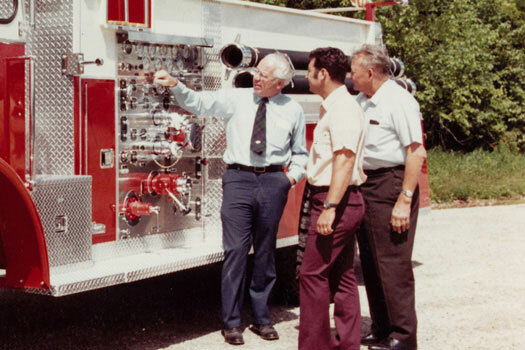 In 1975, Pierce received its first export order for the Middle East from Saudi Arabia for an order of 700 large rescue trucks, trailers, and Snorkels. 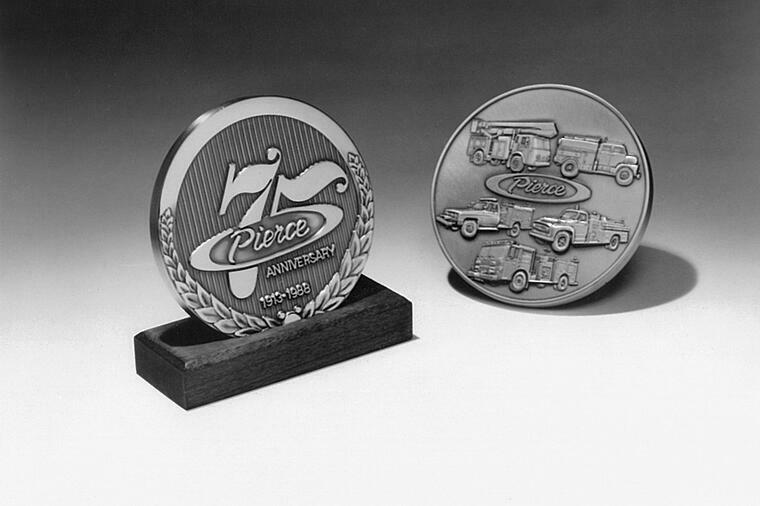 Production in the fire division exceeded 350 units per year and Pierce was now recognized as one of the top three manufacturers of fire apparatus. Pierce introduces its first custom cab, the Pierce® Arrow®, the industry’s first custom cab-forward model constructed entirely out of aluminum. 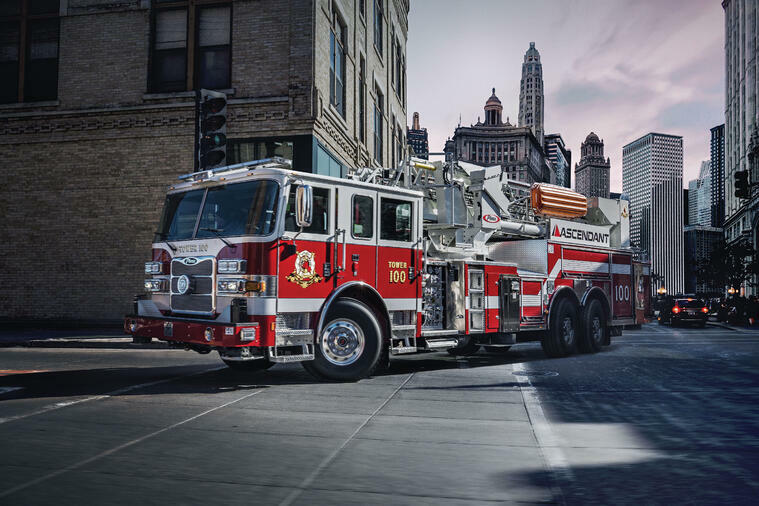 Pierce begins ground-up production of the Arrow (chassis, cab, and body), becoming a single-source custom fire apparatus manufacturer and setting the style for the modern fire truck. The Dash® is unveiled, the first custom tilt cab in the fire industry. The first custom split-tilt cab, the Lance, is introduced to the fire service with seating capacity for ten firefighters. Pierce builds its first aerial platform for Morehead, KY. The Pierce highway 41 plant seemed to be under continual construction to accommodate the ever-expanding business. A 4,800 square foot facility was built on the property to accommodate engineering, research, and pump testing. In addition, an increasing need for manufacturing space prompted the acquisition of a 79,000 square foot facility in Grand Chute where all the utility construction was consolidated. By 1987, Pierce employed over 850 people in three plants totaling over 500,000 square feet. 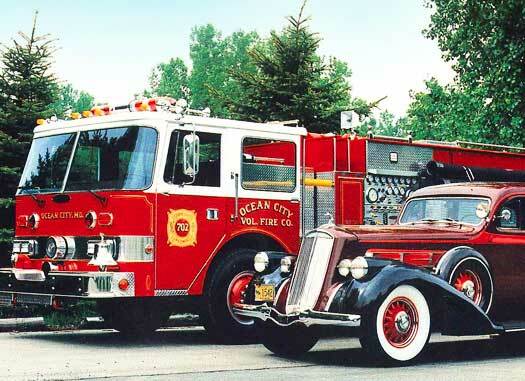 1988 marked the 75th anniversary of Pierce Manufacturing, and it was also around this time that the decision was made to concentrate solely on fire apparatus and to discontinue production of utility vehicles. All chassis production was moved into the Grand Chute facility, and a new paint building was added on to the Highway 41 plant. Doug Ogilvie retired in 1989 after 41 dedicated years with the company. New innovations continued with the introduction of a new 100-foot aerial platform. The Pierce research and development team continued to lead with the introduction of the Pierce MicroController self-diagnostic system in 1991. Pierce introduces the Saber® chassis. Pierce also introduces the 75-foot and 105-foot heavy-duty ladders. Pierce unveils the revolutionary Quantum®, featuring the strongest frame in the industry, unique styling and signature automatic folding steps, and seating capacity for up to ten firefighters. The unique look of the new Quantum set it apart as the paramount chassis in the industry. 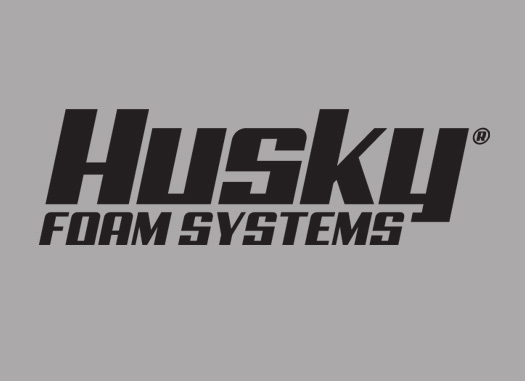 The Husky™ Foam System is introduced, a foam proportioning system able to simultaneously discharge multiple foam viscosities for Class A and B fires. Pierce is the first to fully integrate multiplexing throughout an entire firefighting vehicle with Command Zone™ advanced electronics. Pierce became a subsidiary of Oshkosh Truck Corporation, a leader in specialized vehicles and the market leader in aircraft rescue and firefighting vehicles in North America. Robert G. Bohn was elected President (1996-1998). 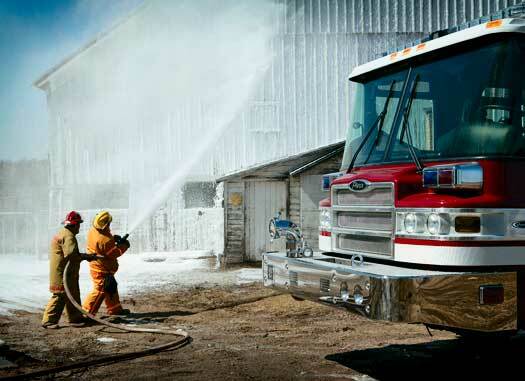 The Hercules™ Compressed Air Foam System was debuted to integrate with Pierce fire apparatus. The company added a new line of polypropylene elliptical tankers and the ENCORE® rescue vehicle. A new 85' platform was introduced along with the Sky-Arm, a 100' articulating aerial ladder platform. 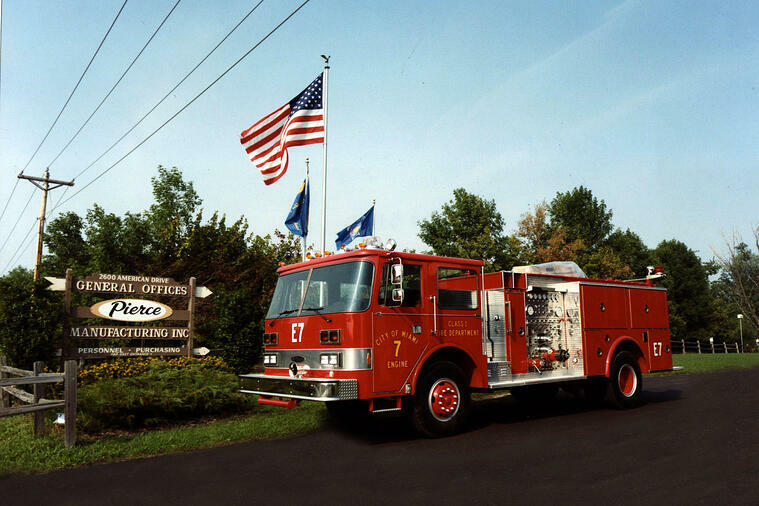 Though production and new innovations kept the company busy in 1998, Pierce still managed to be the first and only single-source manufacturer of custom fire apparatus to achieve ISO 9001 certification, an international standard for quality control. 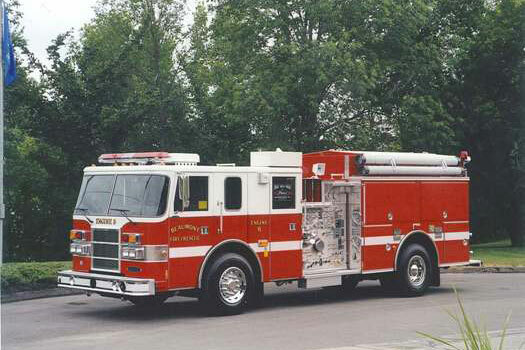 The company also started refurbishing fire trucks in its Weyauwega, WI facility the same year. 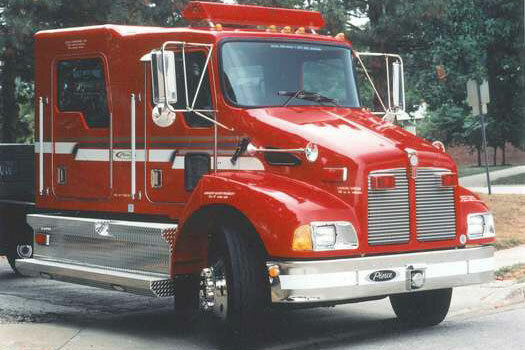 Pierce and Kenworth joined forces to introduce the T-300 fire and emergency chassis, including a four-door cab available exclusively from Pierce. Pierce introduced the Contender® Series. 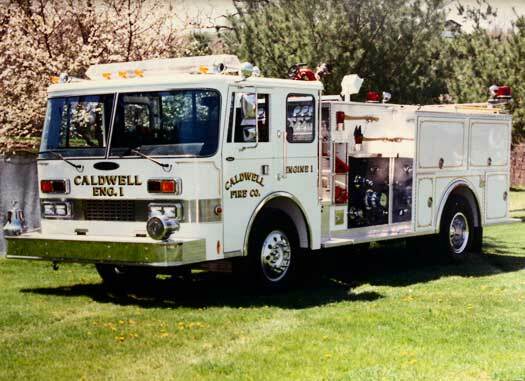 It was a full line of high-quality commercial and custom fire apparatus designed with features and benefits never before available at its price. 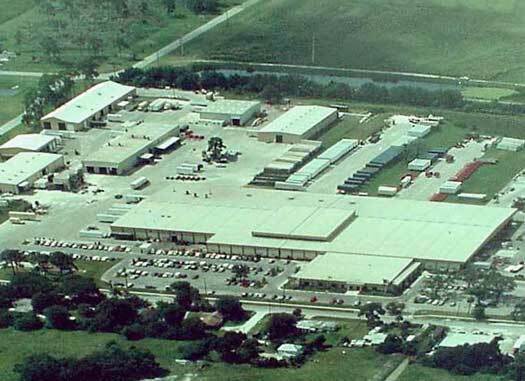 In 2000, Pierce also acquires the Bradenton, Florida facility to expand its manufacturing capabilities. The new millennium brings more innovations and expansion. Pierce introduces the Enforcer™, its seventh custom chassis, and its first mid-mount aerial platform with a low overall travel height. The company celebrates building the 10,000th custom fire truck. The Pierce chrome logo was also introduced in 2000. 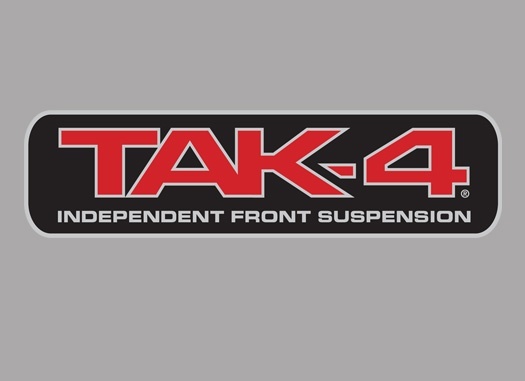 TAK-4® Independent Front Suspension was introduced in 2001 and swept the market as Pierce remains the only custom fire apparatus manufacturer able to offer independent front suspension engineered specifically for its own vehicles. 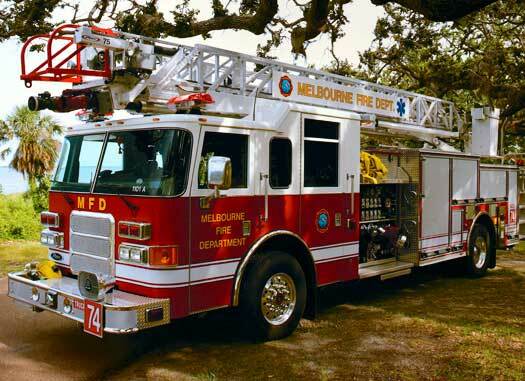 The system improves braking performance, ride quality, and overall durability and remains one of the number one options requested on custom apparatus. 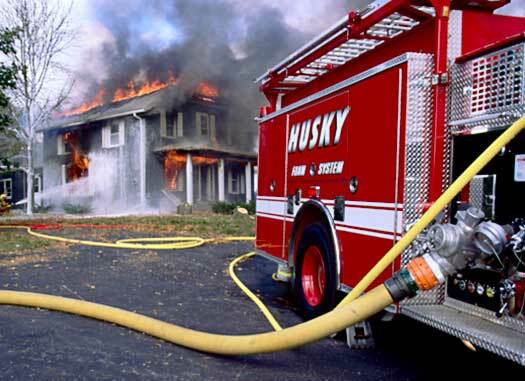 Pierce introduced the Husky 10 foam system, the only system that allows firefighters to run Class A and Class B foam at a rate of up to 10 gpm using the vehicle’s water tank, a high-pressure hydrant, or draft from another source. Pierce introduced the Hawk™ Extreme, the most rugged wildland fire truck on the planet. Built on an Oshkosh Truck chassis, the combination of firefighting ability and all-terrain movement make this the ultimate in wildland firefighting. Innovation continued with the exclusive VLH self-venting discharge cap. Working in conjunction with IMMI, a world leader in safety consulting, Pierce has crash-tested its chassis at or above ECE requirements. In addition, Pierce and IMMI integrated side roll protection into its chassis—a first in the fire industry. The system includes a roll sensor, a seat belt that cinches the passenger down into his seat, and a side-impact airbag. 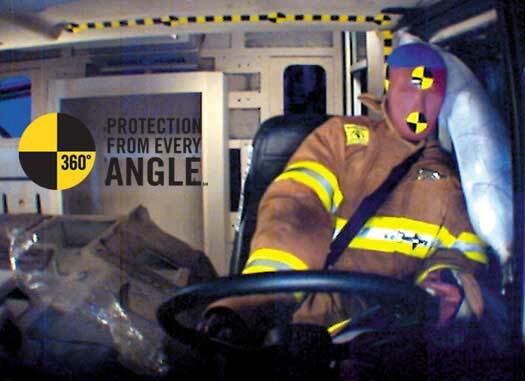 This side roll protection is the cornerstone of the Pierce 360° Protection from Every Angle campaign that includes TAK-4, VLH caps, Husky foam, Hercules CAFS, Command Zone advanced electronics and control system, and hydraulic oil certification testing process. Pierce introduced a 75’ aerial ladder constructed of aluminum that can carry 500 gallons of water and 115 feet of ground ladders. Pierce becomes the first manufacturer to offer both steel and aluminum. In 2004, Pierce introduced ladder gantry. Deployable to the rear of a municipal fire apparatus, the overhead ladder gantry automatically lowered ground ladders to waist height. As part of Pierce's commitment to 360° Protection from Every Angle, a number of new innovations were unveiled in 2005. 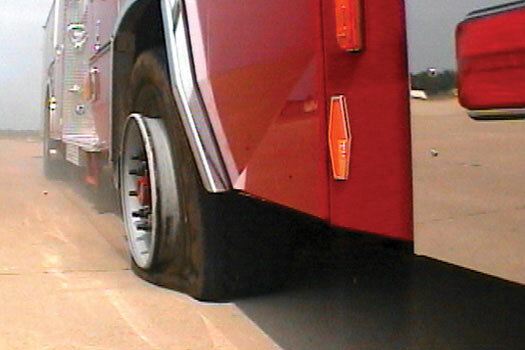 The tire protection system, which protects against tire blowout and monitors tire pressure and temperature. The roll-up hose bed cover that rolls forward and out of the way for easier hose loading at the top of the truck. Luminescent rung covers that visibly glow up to 12 hours. The highly visible rungs show a clear path to ascend and descend an aerial device or access ladders. Rear air curtains on the outside wall of the crew cab were added to the Side Roll Protection system. The Roll Stability Control (RSC) system to help maintain vehicle stability and aid in reducing vehicle side rolls. Pierce was also the first fire and rescue apparatus manufacturer to be eligible for CAN-ULC S515-04 listing to the Canadian Safety Standard the same year. The PS6™ seat was the first seat designed specifically to dramatically increase safety and comfort for firefighters, and it is the first to feature built-in side roll protection. It is exclusively available from Pierce. The seat features built-in side roll protection, hands-free SCBA holder, dual-seat belt retractors and double length seat belts. It also has a 7.5-degree angle of recline and lumbar adjustment, air suspension, and auto-center position. 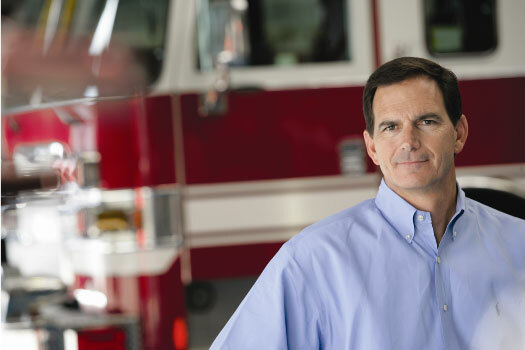 The Velocity® was designed with input from firefighters around the country and features five significant improvements destined to change the fire industry. Increased space, storage, and clutter management, safety and visibility, custom-designed seats and ease of maintenance are the five most significant changes evident throughout the cab and chassis. 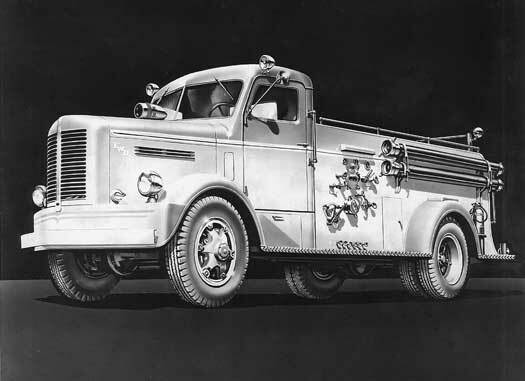 Pierce was the first fire truck manufacturer to offer frontal airbags in its custom fire chassis. The airbags cushion front-seat occupants in the event of a frontal collision. Pierce Manufacturing was also named the Wisconsin Manufacturer of The Year. The company earned the recognition for overall outstanding achievement and an exemplary contribution to manufacturing in the state. The award acknowledges the progress and growth at Pierce as well as the hard work and experience of the employees. 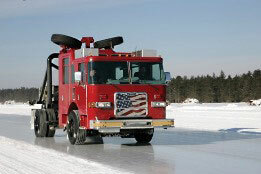 Pierce became the first to sell Electronic Stability Control (ESC) in the fire industry. Similar to electronic stability control systems found on passenger cars and SUVs, ESC helps the driver maintain directional control of fire apparatus during lane changes and cornering maneuvers. 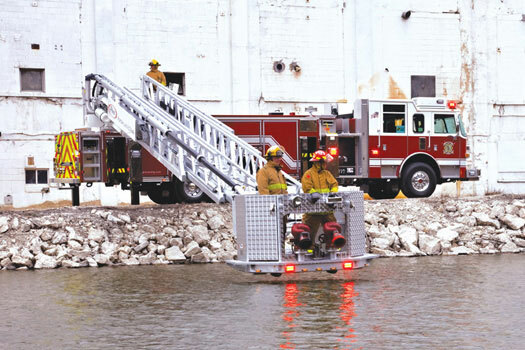 ESC can be applied to Pierce pumpers, aerial ladders and platforms, tankers, and rescues. Wilson Jones was elected president (2007-2010). The Pierce Ultimate Configuration (PUC™) is developed. It dramatically changes the way the fire service configures apparatus by removing the bulky pumphouse without compromising firefighting capabilities. In addition to eliminating the bulky pumphouse, the PUC features a simplified two-step pump shift operation. It also positions the pump operator next to hose connections rather than over them, and the pump panel is redesigned for easier use. Hosebeds, crosslays, and ladder access are lowered for better ergonomic use. The entire pump system is also located above the frame for easier, quicker service and maintenance. With a shortened wheelbase for improved maneuverability (as low as 172”), the PUC also provides up to 500 cubic feet of storage. Pierce expands its line of PUC™ offerings. 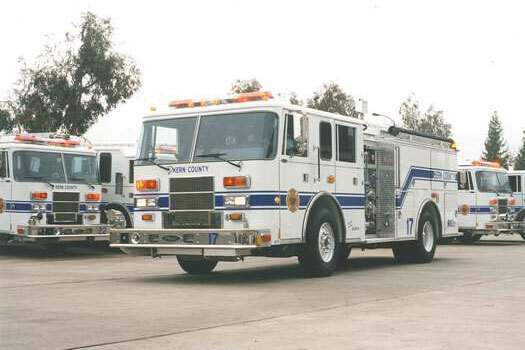 Top mount pumpers, 75’ aluminum aerial ladders, and custom Contender® pumpers were made available with this configuration. The top mount PUC pumper places the pump operator off the street and in an elevated position for better safety and visibility. The 75’ aluminum ladder PUC features 22 percent more storage space and up to 5” shorter wheelbase than traditional 75’ aluminum ladders. 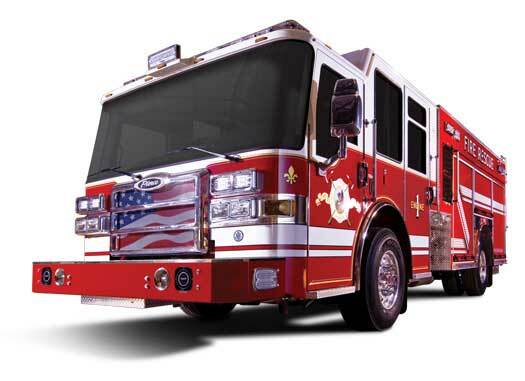 The custom Contender PUC allows fire departments to customize their rigs cost-effectively and still obtain all of the benefits of the PUC design. It also features a redesigned cab with more interior space for crew and equipment. Pierce unveiled the 100’ aluminum aerial platform, which features greater below grade performance, superior ground penetration and tighter stabilizer spreads. Pierce launched its Responder™ stock vehicle program. 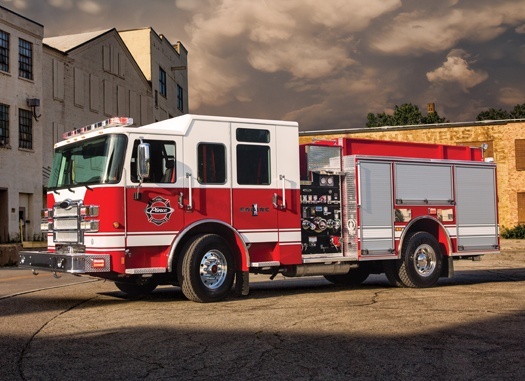 The Responder is a comprehensive line of firefighting trucks built on commercial chassis, each available for quick delivery and offered with a limited selection of options. Jim Johnson was elected president (2010-present). 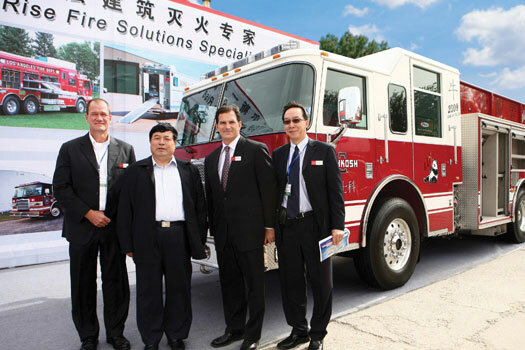 Pierce’s international expansion grew with its first-ever sale of fire apparatus in China with an order to Nanjing, Jiangsu Province Fire Bureau in the People’s Republic of China. Pierce was named the Manufacturer of the Year in the Mega company category by the Fox Cities Chamber of Commerce & Industry, Inc.
Pierce redefined custom fire apparatus with the launch of the Dash® CF. The apparatus features an innovative tilting cab-forward design that repositions the engine rearward and down low between the frame rails, with an open interior configuration that helps firefighters better prepare for the unexpected situations they face when arriving on the scene. The vehicle dramatically increases driver and officer interior cab space, improves visibility and serviceability, and sets a new benchmark for heavy-duty construction – all in a compact easy to maneuver wheelbase. Pierce introduces the Husky™ 3 foam system, the only entry-level foam system available with Class A and Class B capabilities. The only system on the market to fill the foam tank from the ground as standard. 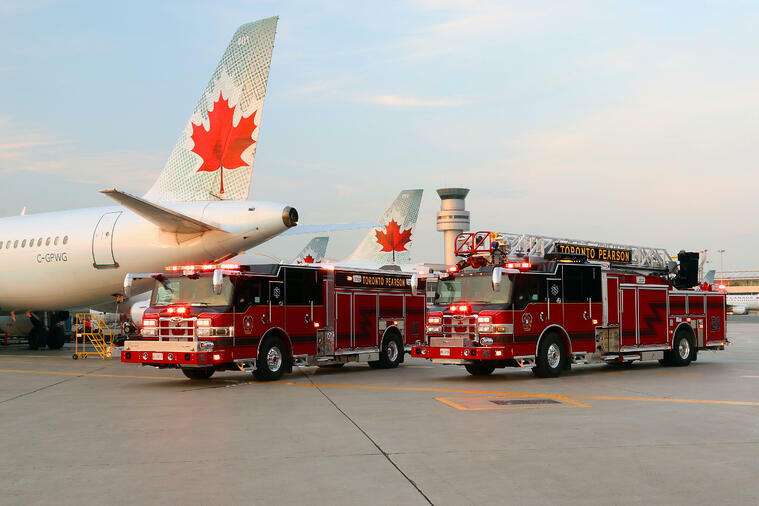 Pierce and Oshkosh Airport have sold over 100 Pierce fire trucks and Oshkosh® airport vehicles in China. In the municipal, industrial, and oil & gas sectors, Pierce’s advanced high technology fire trucks are well suited to meet China’s needs. 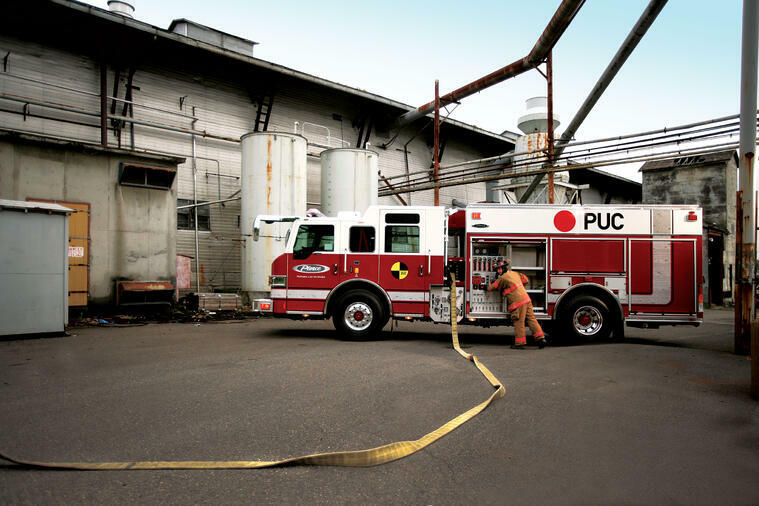 Pierce custom vehicles sold to China include high-rise pumpers, aerial ladders, and industrial pumpers, which deployed to fire departments across multiple provinces in China. Pierce Manufacturing was also named the exclusive North American distributor for Bronto Skylift aerial platforms. Pierce signed an exclusive distribution and supply agreement to market and support the Bronto Skylift line of aerial platform devices throughout North America. Pierce offers Bronto Skylift products, including the 165’ RLP – the tallest aerial platform available in North America – on its industry-leading line of Arrow XT™, Impel®, Quantum®. 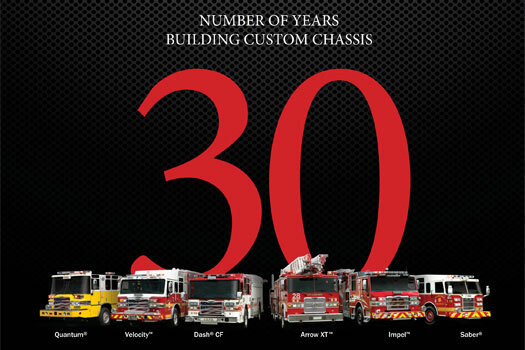 Pierce celebrates 30 years of building custom chassis; 27,023 custom chassis are built; 51,600 trucks are built. Pierce introduces the new Velocity® PUC pumper, forward roof cab design. The cab features a more open interior with improved visibility and an advanced HVAC system. “Pierce is a company with humble beginnings, a rich history, and an exciting future. It is significant that only a small fraction of companies from any industry achieve the 100-year milestone. 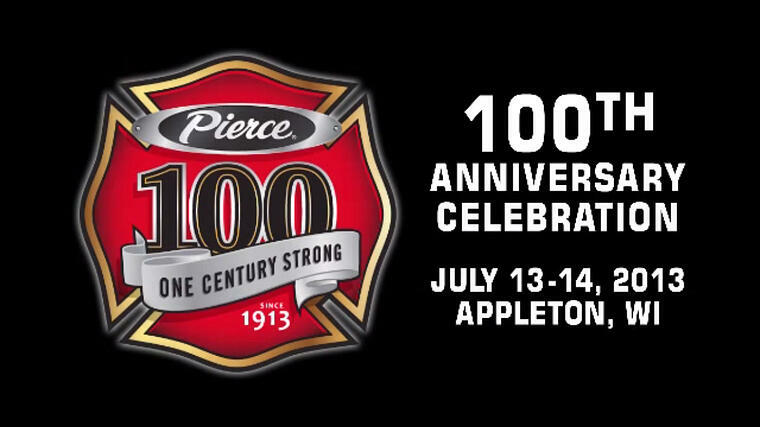 On behalf of Pierce employees, and all those who preceded us, we pledge an unwavering level of commitment to firefighters, and boldness in our thinking, as we look ahead to the next hundred years.” Jim Johnson President, Pierce Manufacturing. The Open House brought over 12,000 people to the Appleton, WI facility. The event was kicked off with over 60 fire trucks in a parade, followed by an opening address from the Wisconsin Governor who declared July 13, 2013 "Pierce Manufacturing Day." Other events included fire truck rides, safety training, manufacturing tours, truck displays, and the unveiling of a new history display. A significant part of the Pierce legacy has been giving back to the community and the fire industry. 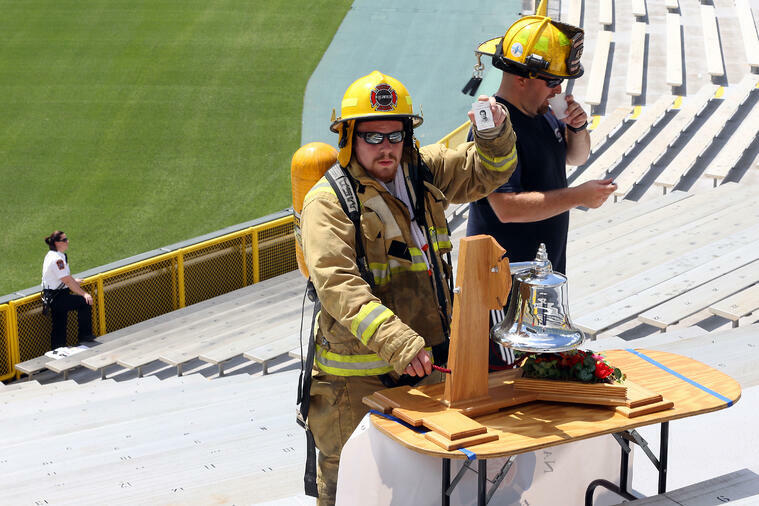 On July 14, 2013, the first annual Pierce 9-11 Memorial Stair Climb at Lambeau Field was held to raise money for the National Fallen Firefighters Foundation. 561 participants joined in climbing the equivalent of 110 stories in honor of the 343 firefighters who made the ultimate sacrifice on September 11, 2001. 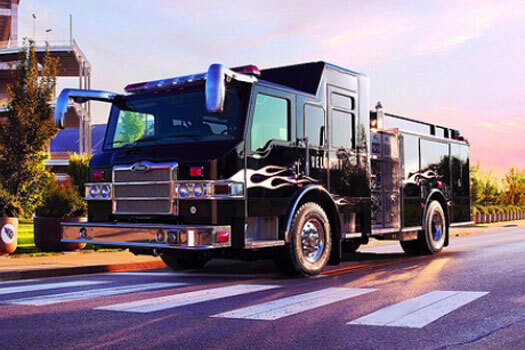 In April 2014 Pierce re-launches the Enforcer™ Chassis and introduces the all-new Saber® Custom Chassis. Both of these new chassis bring more space, visibility, and performance. The Enforcer brings an unprecedented number of options on a 10-inch frame rail including the Detroit Diesel DD13 Engine and the TAK-4® independent suspension. 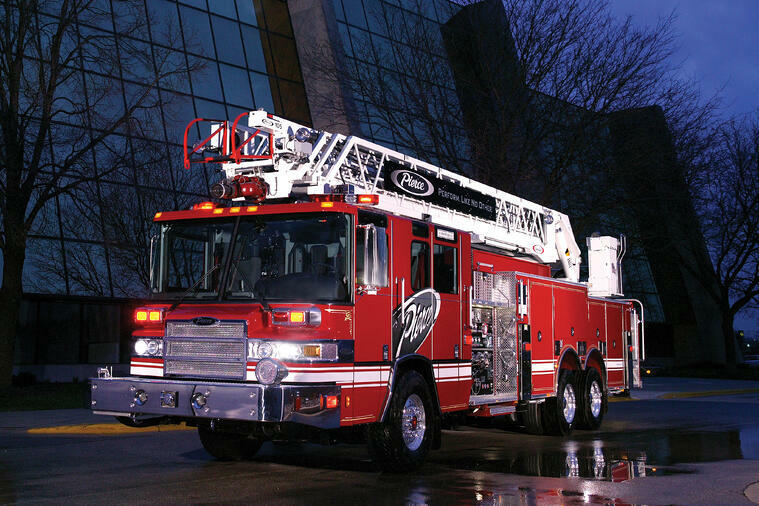 In April 2015 Pierce® launched the Ascendant® 107’ steel ladder. 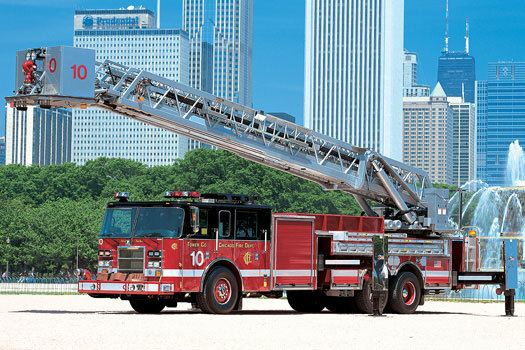 The Pierce Ascendant 107’ aerial ladder features a weight optimizing design structure, high-strength steel, custom tubing, and unique gusseting that place weight and mass only where required. The aerial delivers a full 107’ vertical reach and a 100’ horizontal reach with an operating range from -100° to +77°. Its 100’ horizontal reach is an astounding 32’ greater than a typical single rear axle aerial. The Pierce Ascendant is available on a wide range or Pierce custom chassis, including the Arrow XT™, Velocity®, Impel® and Enforcer™. It is brilliantly designed and engineered to give you more capabilities with no sacrifice in water capacity, performance or safety. Pierce also introduced an advanced Pierce Command Zone™ system offering expanded capabilities to benefit the driver, officer and maintenance teams featuring technologies that integrate GPS and Wi-Fi connectivity for a whole new level of performance. Service technicians are also able to run and view diagnostic codes and troubleshooting procedures from the touchscreen display on a table using a Wi-Fi, cell phone or USB interface. Data logging capabilities enable the system to maintain a history of each vehicle’s fault codes, warnings, and cautions. The end result is faster diagnostics and increased vehicle uptime. Following on the heels of the wildly successful Ascendant 107’ single rear axle aerial ladder, in April 2017, Pierce introduced four all-new Ascendant aerial apparatus. 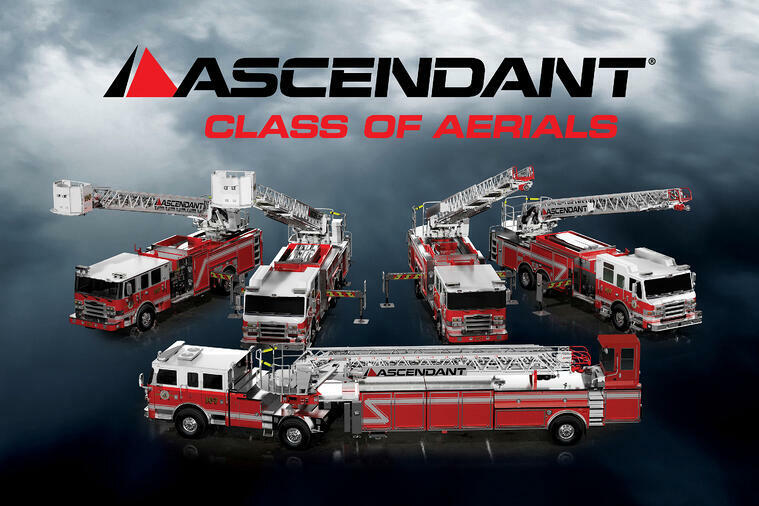 The Ascendant Class of Aerials includes five distinct configurations and each sets a new benchmark for performance for the industry: single or tandem rear axle 110’ platforms, single or tandem rear axle 107’ ladders, and 107’ tractor-drawn aerial. 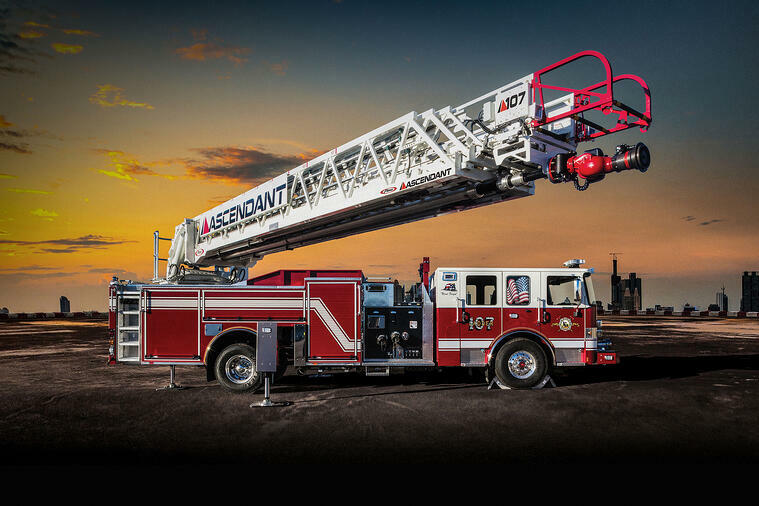 Answering the demand for the innovative Ascendant ladder to be available on additional configurations, the 100’ Aerial Tower offers heavy-duty capabilities and the highest level of dependability. Reaching heights of 100' vertically and 93' horizontally, the Ascendant 100' Aerial Tower packages a 5-section heavy-duty steel tower onto a vehicle with a low overall ride height of only 10'8" and length of only 41’ 3”. Its 160" rear overhang minimizes tail-swing offering superior maneuverability and even greater visibility than that of a rear-mounted tower.